It is very important to know the structure of the extinguisher which contains some chemical agents to extinguish fierce fire in our house. Handle: It is a grip to hold the cylinder. Handle designs may vary depending on various models. All portable extinguishing cylinders having weight more than 3 pounds must have a handle. Trigger: It is a short lever mounted above the handle. When you squeeze the trigger, it releases the extinguishing agent through its nozzle. Nozzle: The extinguishing agent is expelled from the top of the extinguisher through a fixed nozzle. Locking Mechanism: It is used to prevent accidental discharge from the cylinder. The locking mechanism must be removed before using the extinguishing cylinder. In modern extinguishers there is a pin with a large loop at one end set below the trigger. Therefore you must pull the pin out before squeezing the trigger to discharge the extinguisher. 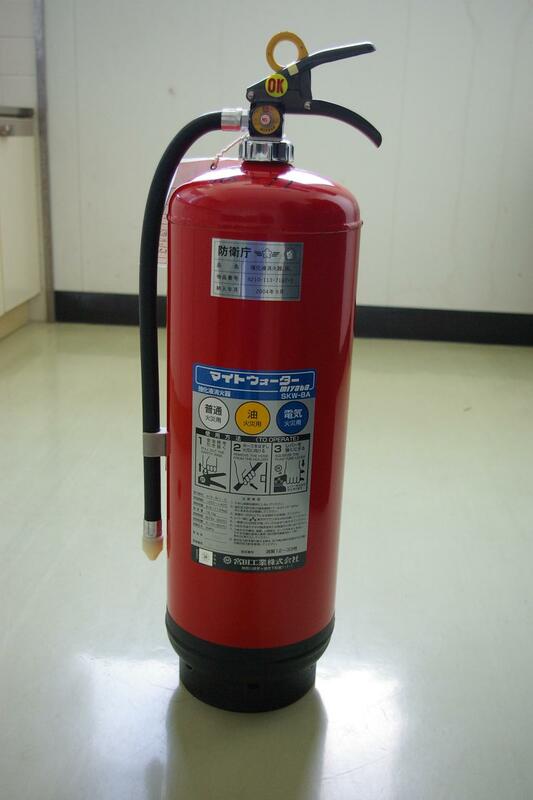 Without knowing proper operation of the portable fire extinguisher, you can not stop a mishap caused by the fire. Four basic steps to operate extinguisher are following. Pull out the pin located below the trigger or release the locking mechanism holding the nozzle pointing away from you. Point the nozzle towards the base of fire standing 6 to 8 feet away from the fire. Always hold the extinguisher vertically. Never cradle it horizontally in your arms. Squeeze the trigger slowly and evenly. It will release the extinguishing agent through the nozzle. Sweep the nozzle from side to side driving the fire back. Move closer to the fire as it diminishes and continue sweeping until the fire is extinguished completely.